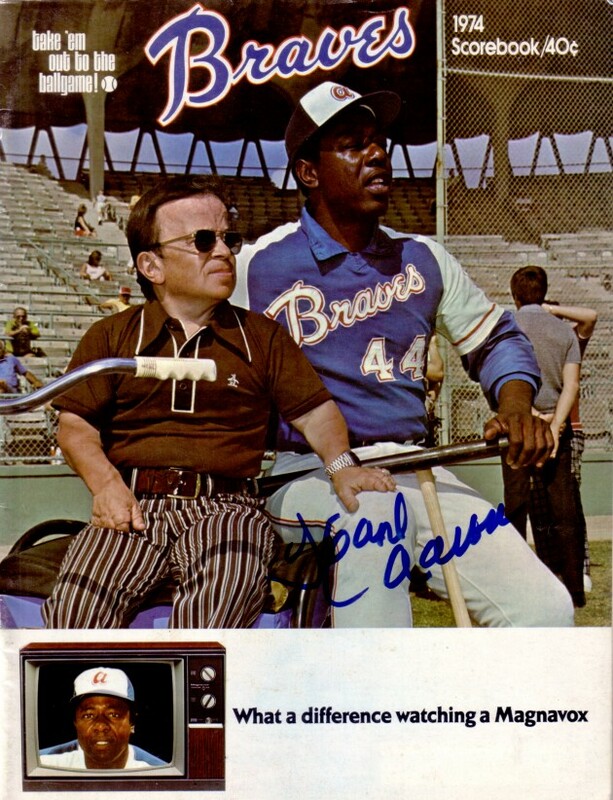 Original 1974 Atlanta Braves game program from the opening home stand with the Dodgers (as indicated by the scorecard in the center) during which Hank Aaron hit historic home run #715, autographed on the cover by Aaron in thick blue marker. Has minor wear. With certificate of authenticity from AutographsForSale.com. ONLY ONE AVAILABLE FOR SALE.